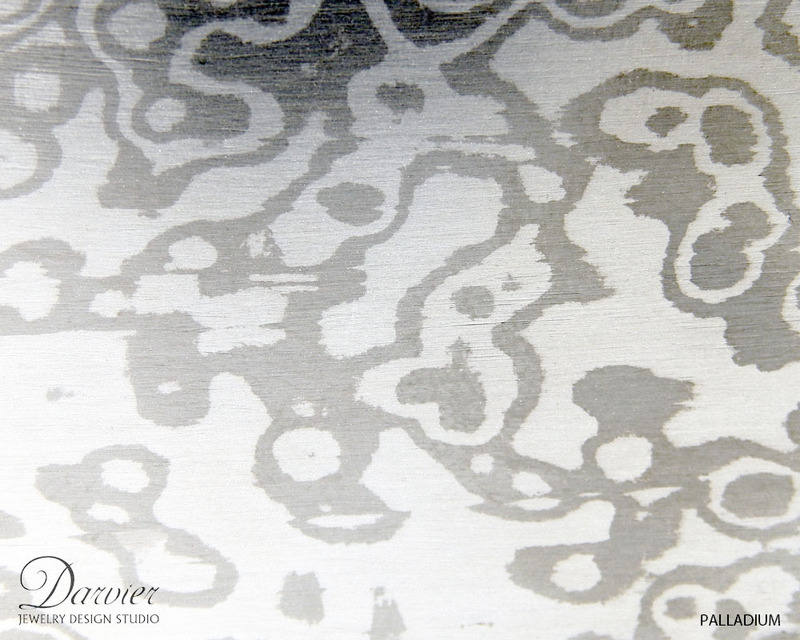 Mokume Gane is a method of creation that has set Darvier apart since our beginning in 2006. This jewelry is a remarkable evolution from the 17th century Japanese sword forging technique, which also provides the name, meaning woodgrain metal. Developed during a time of isolation during Japan’s Edo period, it represents a pure and unique craftsmanship. The patterns and depth of color that are painstakingly crafted from layers of diffusion welded precious metals are incredible to see. Not only is Mokume beautiful, it endures. The forged metal acquires a unique patina with wear that our clients love. 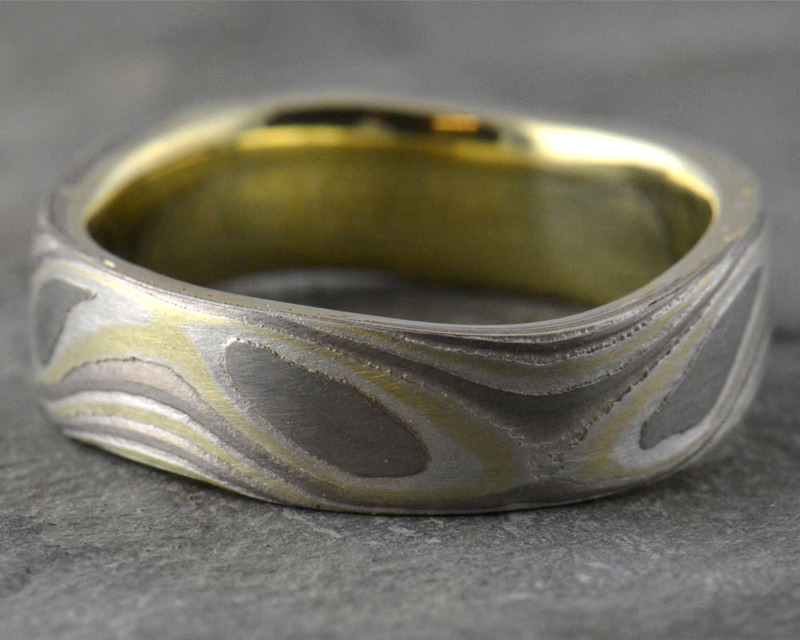 Moreover, our Mokume is designed to be not only exquisite, but remain comfortable and wearable for a lifetime. 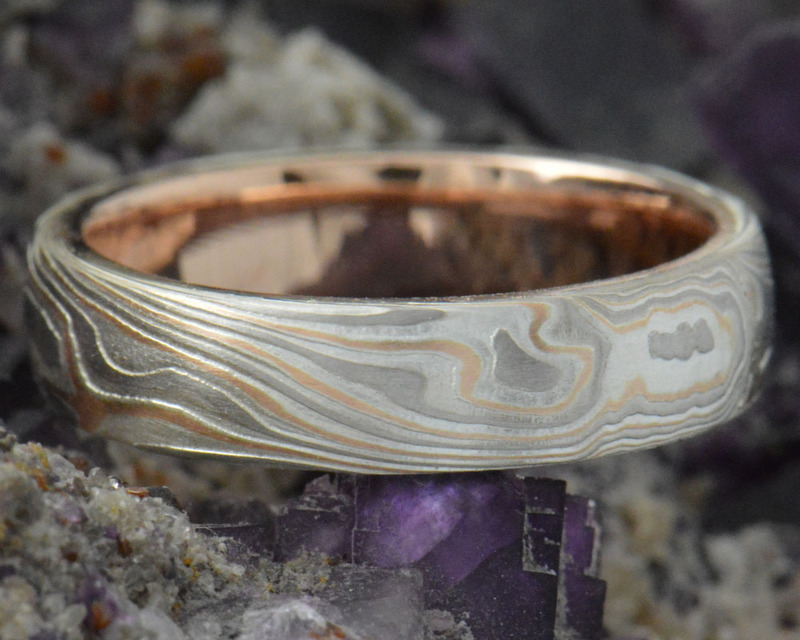 Explore below, and contact a designer to begin your Mokume creation. Design an engagement ring with a twist and a rare center stone. An aqua diamond in this case. Make yourself one of our favorites. 18k bevel edge band with a burl patterned mokume inlay. Perhaps you create a hand forged wedding band set with a dark noir patina over 14k rose gold. Pendants like this yellow pear diamond and other classic accessories are yours to design. Even some cufflinks for your groomsmen. Why not? These are made of copper, keeping the cost low. Design your own custom combination to match your collection. A custom set that was on my business card for some time. One of my absolute favorites! Rich 18k yellow gold and palladium in the burl pattern. Cast with solid 18k yellow gold with a half bezel set cushion cut diamond. You’ll hear me say “you can beat the daylights out of these” all the time because it’s true. 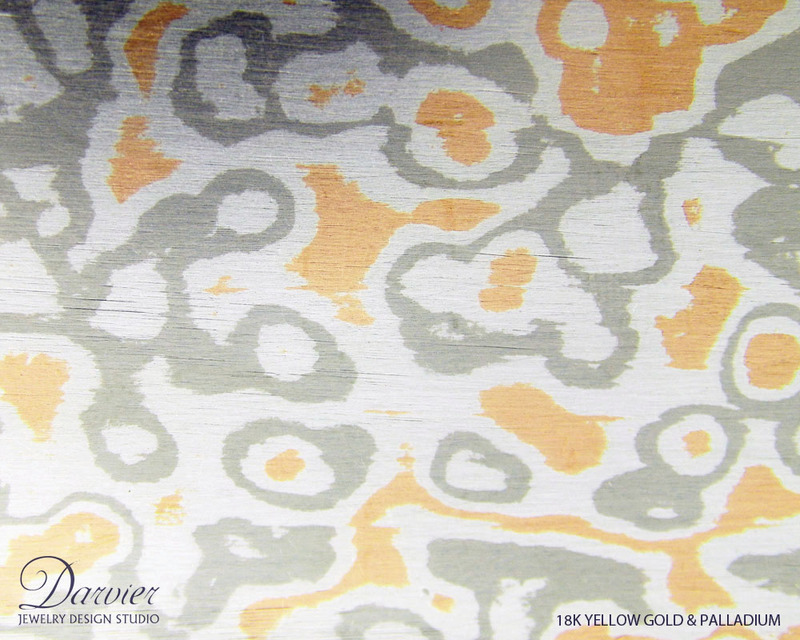 It’s one reason why each and every staff of Darvier eventually has Mokume made for themselves. So rare. So unique. So durable.